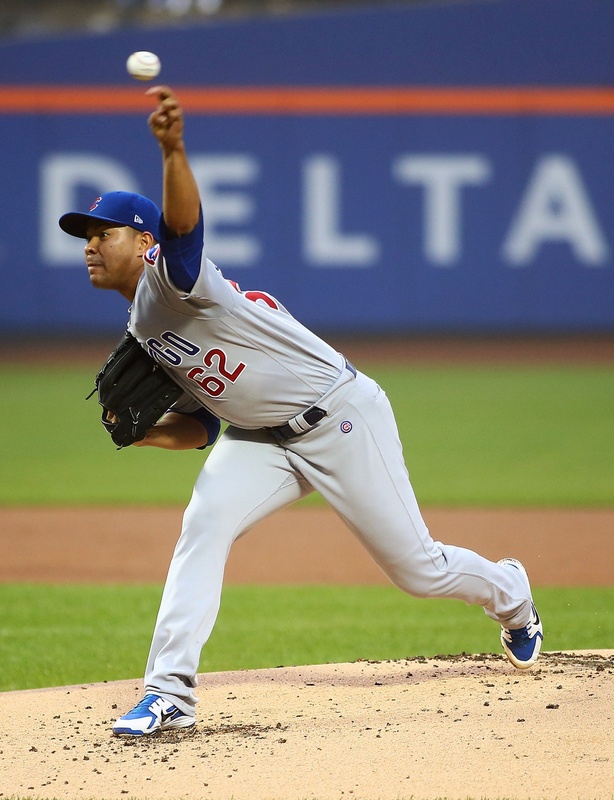 On a gloomy night at Citi Field in Queens, New York, starting pitcher Jose Quintana shined throughout his six-inning outing to help the Cubs get a 5-1 victory over the New York Mets. What You Need to Know: Quintana continued his trend of pitching better on the road than at home by throwing his third straight away start without giving up an earned run. He was able to take control of at bats early: against the 22 batters he faced, he threw a first-pitch strike 18 times. The Cubs’ offense struggled against Mets starter Seth Lugo. Lugo was a regular in the pitching rotation in 2017, has but made the shift to the bullpen in 2018 and was limited tonight in his spot start. Once Lugo was pulled after going four innings, the Cubs lineup was able to start putting runs on the board. Ben Zobrist was on the board first with a two-run home run, which was maybe a blessing in disguise for Met fielders who would have had a tough time fielding the ball in the thick fog tonight. Jason Heyward continued his good form of late with a pair of hits, giving him eight in the last three games. Over the last week he has raised his batting average over 40 points to .262. Next Level: This weekend over 100,000 people will descend on Soldier Field to watch Taylor Swift perform two shows off her Reputation tour. Little do they know someone else has already been on a bit of a reputation tour of their own this season. After fielding Michael Conforto’s single in left field, Kyle Schwarber benefited from the (incorrect) reputation he has as a fielder to get his fifth outfield assist of the season. Conforto tried to stretch that single into an extra base but was out by a mile after a perfect throw from Schwarber. Schwarber’s supposed struggles in left field have been well documented, and teams this season have looked to exploit that. Yet for all his flaws, Schwarber has been able to capitalize on these defensive opportunities, and after tonight he is tied for second in the National League in outfield assists. Just like teams learned it might not be the best idea to be aggressive with runners against Jon Lester while he has Willson Contreras behind the plate, teams will have to adjust to Schwarber’s arm. Top WPA Play: After smashing a ball just foul, Zobrist redeemed himself with a two-run home run later in the at bat (+.255). Bottom WPA Play: Brandon Nimmo hit a double, which advanced Seth Lugo to third base. The inning ended without either scoring (-.097). Up Next: The second game of the four-game set will have Tyler Chatwood start against Zack Wheeler. Chatwood will look to move past a rough previous week. Marcelo is a contributor to BP Wrigleyville. He was born and raised in Chicago's southside and spends most of his time online watching baseball brawl videos. He is also a recent graduate of Columbia College Chicago.